The changes mean employers can still offer benefits in kind, but they will not be as attractive from a cost perspective. Changes to salary-sacrifice schemes announced in November’s Autumn Statement are likely to prove unpopular with employees. James Monks from RAM Group looks at ways employers can mitigate the impact of the changes and still retain staff. The last few years have seen a significant increase in the adoption of salary-sacrifice schemes by employers. Much of the popularity of these schemes can be explained by their mutually beneficial nature for employer and employees alike. As well as allowing staff to give up part of their salary in exchange for tax-free benefits, companies have also been liable to pay lower national insurance contributions on reduced employee wages – a situation viewed by many as win-win. For the basic-rate taxpayer sacrificing £100 of their salary, tax perks have allowed them to receive £100 in benefits for a salary deduction of just £68. However, following what HM Revenue and Customs described as a “proliferation of luxury schemes” at a high cost to the Treasury, 2016’s Autumn Statement brought the controversial news that the Government would be axing salary-sacrifice tax perks on a range of employee benefits. Citing the difference between the tax paid on cash salary and benefits as “unfair”, Chancellor Philip Hammond announced that from April 2017 “employees who use these schemes will pay the same taxes as everyone else”. Only a few politically-motivated benefits, such as pension contributions, childcare vouchers, ultra low-emission vehicles and cycle-to-work schemes will be exempt from the charges. Employers looking at introducing salary-sacrifice schemes should bear in mind that they have a 12-month window before tax changes come in, as long as these are put in place in April 2017. With this in mind, companies should not delay in holding discussions with employees to see whether or not they are actually interested in receiving these incentives – if not, it is almost certainly not worth the effort of setting up. It is important to note that the changes announced in the Autumn Statement do not constitute a ban on salary-sacrifice schemes, and employers can technically continue to offer these benefits to staff. But in practice, the removal of tax perks on the majority of benefits makes them much less attractive to businesses and employers. Furthermore, the fact that the implementation of these changes coincides with the introduction of the apprenticeship levy only serves to increase the burden on organisations. As many employees will have come to view these benefits as part of their remuneration package, it is essential that employers adopt a proactive and innovative approach to mitigating tensions among staff who find the changes unpalatable. Communicate clearly to the workforce about the incoming changes, taking care to emphasise that these are Government rather than company-driven. Ultimately, the question that staff will want answered is “How is this going to affect my pay packet?”, so advise managers to speak to the payroll team before having meetings with employees to ensure they have all the facts, figures and information ready for each individual. The employer should clearly detail which tax benefits will be affected, and when the change will occur. Presenting examples of how the net pay will be impacted will also help the employee better understand how their own pay packet will change. Ensuring the worker fully understands that the removal of tax benefits to salary-sacrifice schemes has been instigated by the Government and not the company, will help maintain employee loyalty. Organisations might want to explain how they adopted salary-sacrifice schemes to help employees and that they will continue to do so if any new schemes become available. This will demonstrate to staff that the business wants to help. Communication should not be a one-way process, but an open dialogue. By having a dedicated member, or members of staff, who can be contacted at any point with questions in regards to the upcoming salary-sacrifice changes, employees will have an opportunity to raise any concerns, consequently allowing managers to address them. With a loss of tax perks certain to hit staff in the pockets, organisations will also need to give careful thought to strategies for retaining staff, who may seek alternative employment offering them a higher salary. It is important to remember that those likely to feel the impact of these changes the hardest are those workers already struggling to make ends meet. 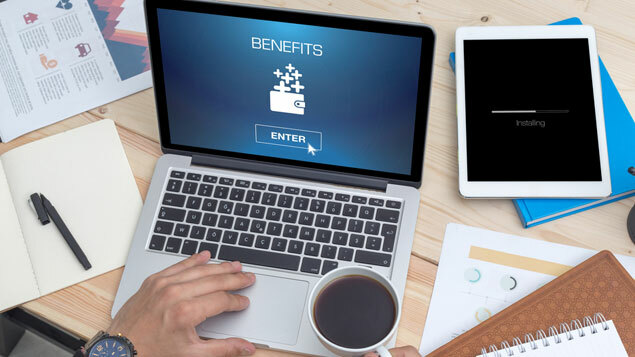 Therefore, businesses should look to introduce alternative ways to offer staff financial perks, such as a group benefits platform which allows employees to make savings across a range of everyday purchases. Alternatively, businesses could offer non-cash incentives – through perks such as flexible hours and additional holidays. This means employers can help counteract any discontent resulting from tax changes and boost overall employee wellbeing. The incoming changes to salary-sacrifice schemes will inevitably have an adverse effect on both companies and employees, with many areas of business feeling that the Government should be doing more to maximise people’s personal income. However, by taking the time to think carefully and innovatively about how to mitigate the impact on employees, companies can reduce disruption to business processes whilst maximising retention and productivity.